I left school at 15 with some GCSE’s, but being dyslexic I was told I probably wouldn’t amount to much anyway so why bother. After leaving, I got a job and I started at College for 3 years, which I did both full-time. I did hair and beauty for the first year and art and design for the last two. I wanted to become a fashion designer. That was my calling in life, my room was always piled high with art books and designs. I was always making things but I just never knew what to do with them. I did all this while I became a manager at my job. Eventually, I became a mobile carer for the elderly, which I did kind of enjoy because I was always on the move and not stuck in the same place. I then lost my grandad and felt I needed a change of scenery, so I quit my job, packed my things and I moved to Cardiff in 2013. I met one of my friends soon after moving here and we did talk about my business ideas. However, I didn’t know where or how to go about it. So I carried on with my day job until one day I woke up and really wanted to pursue my dream. I bit the bullet and quit my job, I thought if I won’t do it now I won’t ever do it. So, I googled ‘how to start a business’, and one of the first results that popped up was The Prince’s Trust. I called in and explained I wanted to start a business and asked if they could help me. I worked with them to do my business plan and had weekly meetups to go through all my information to make sure I had everything I needed before I went to launch group. I passed! It was like Dragons Den and so scary. My adventure began and Anaphase Clothing was born. I was given a mentor for 2 years to help me all the way with any problems and advice and I have networked a lot doing their courses. For the last 3 years, The Prince’s Trust Cymru have held a pop-up shop in St David’s 2, a busy shopping centre on Mothers Day weekend. I have attended these and spoke to people that have been through the same journey. It really helped me. My business was slow to start off with which did dishearten me a little, especially as I thought I’d be a millionaire by the first month. But I wasn’t ready to give up – so I got a full-time job to help with the costs and kept my business going on the side. It has picked up a lot and has been a bumpy ride but I still see potential in myself. Last year I changed the business name to Anaphase Store as I wasn’t just selling clothing. It made sense to have the store covering the ranges I have. I have developed an online following on my social media accounts. My website gets a lot of attention, I am verified on Facebook, The Tomorrow store that is run by The Prince’s Trust also stocks my items on their online platform and I currently have a fully funded office in Caerphilly thanks to the Welsh government. 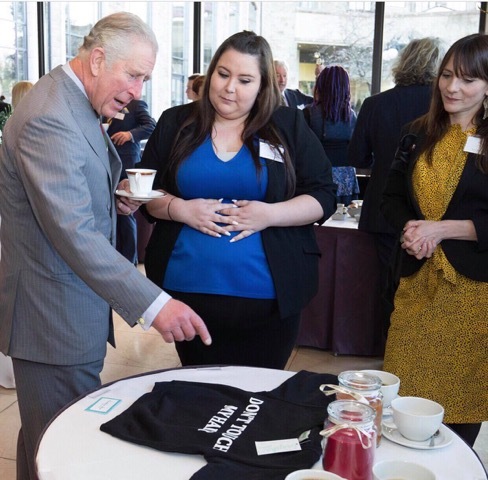 I was a young ambassador for The Prince’s Trust, I would attend events and do speeches on how the trust has helped me. I have just finished training to be a volunteer and business mentor. Along the way I have met Paul Mercer, I asked him for an autograph, which he was okay about until the whole room saw, rushed over and formed a line. He was stuck there for about 30 minutes! I have also met Dan Bigger and Kelly Hoppen. 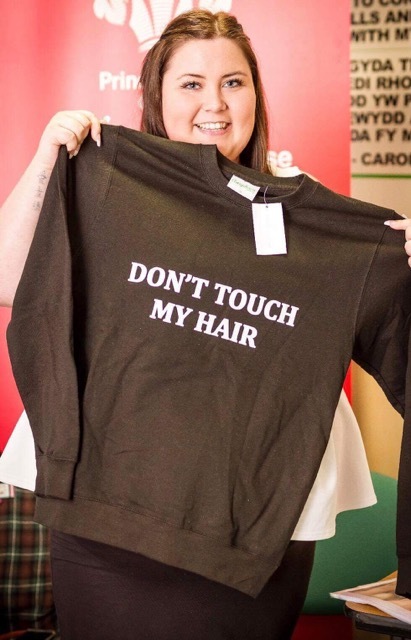 Kelly loved my ‘Don’t touch my hair’ sweatshirts and posted it on her Instagram. Giovanna Fletcher posted one of my candles on her Instagram story, which in turn sent a lot of people my way. I have done an interview on BBC Radio Wales, along with Heat, Kiss, Kerrang, Planet Rock and Magic. I met Prince Charles; at the same event, I met Luke Evans. My business has was a finalist for a small business award.